What’s the hottest gift this Christmas? The smart home. There’s now a wide-variety of intelligent DIY hubs including Wink and SmartThings that can wirelessly wrangle devices in your home or apartment to protect your property, save energy, and make everyday living more fun with app control! The best thing to automate and schedule is your lighting, and Leviton Z-Wave lighting controls provide the highest visual impact for your family and friends, setting the proper scene for all of your holiday events. Want to get started today? First, grab a DIY hub from your local big box store, or see if your security system is or can be Z-Wave enabled. Then, determine what you want to control in your space. Plug-in modules like the Leviton DZPD3 or DZPA1 allow for quick and easy control over small appliances, table lamps, or devices like fans. Take it a step further and install the DZR15 smart receptacle for that built-in professional look whether it’s behind the living room TV or next to the bed. Finally, control those overhead LED lights with the DZMX1 dimmer or DZS15 switch available in white, ivory, or light almond. 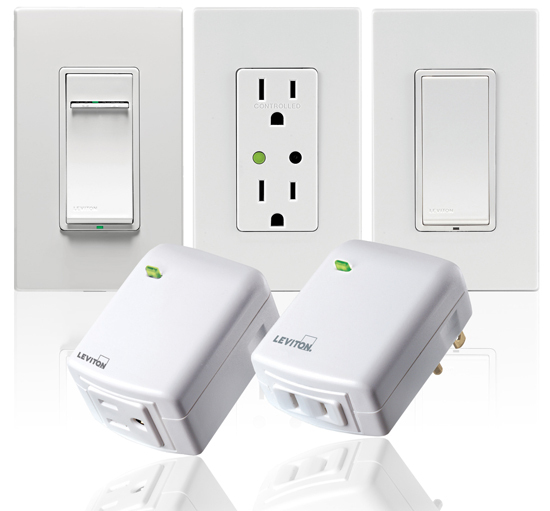 Pair these devices with screwless Decora Wallplates for a super clean and modern appearance. Now that the devices are installed, use the setup software or app to schedule your front porch light to turn on every night and off every morning. Some hubs let you create shortcut buttons that enact a chain of events like movie mode which locks the doors, dims the lights, and closes the window coverings. Or, just use the app while on vacation to keep a watchful eye on the property and provide a lived-in look. Know what’s really cool? If you’re using a Wink Hub, you can attach an Amazon Echo to control your lights with your voice! 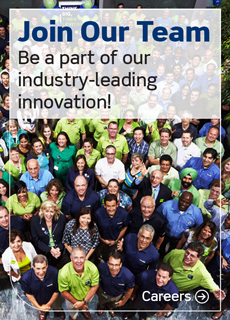 Leviton – The Future Is On!